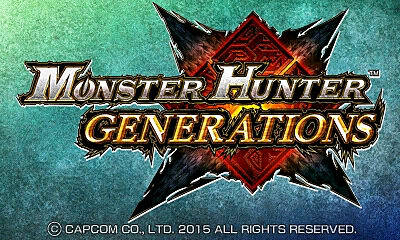 Monster Hunter Generations is the latest entry in the Monster Hunter series and there is plenty to do. Veterans of the series don't have too much to learn, but there are some new things even they will want to know about. If you are brand new to the series, the content can be overwhelming at first. Don't fear because I'm here to explain all the basics so you can get started off right in Monster Hunter Generations. Game Basics - How the game works for those new to the series. Hunter Styles and Arts - A new feature added to the series. Weapons Types - The different weapons and how they work. Prowler Mode - Another new feature and how it works. Quests and Rank - The kinds of quests you can do and ranks you can obtain. Customization - The different ways you can customize your character. Hunting Tips - Basics tips to get you started in the game. Monster Hunter is a game where you, well, hunt monsters. It sounds incredibly basic, but there is a lot of depth that goes into this game. This is really shown later on when you face off against very powerful giant monsters that require strategy, good equipment, and skill. The first thing I suggest is completing all the Hunter Basics training quests. This will provide a hands-on demonstration of how everything works and will be much easier to understand. In this game, you start by collecting materials and exploring the land. You will get acquainted with the controls, your weapons, and how everything works before moving on. Then, you will complete gathering missions. This is still a way to ease you into the content and get you acquainted with getting materials, which you will be doing a lot as you try to craft better gear. Finally, you will start your hunts on smaller monsters that don't require a lot of strategy so you can get used to fighting. The end goal is to hunt the big monsters. Big monsters usually have multiple body parts you can attack, and at least 1 weak spot. These spots can usually be broken to weaken the monster and drop extra/rare materials. You can also jump on a monster sometimes by jumping above it and attacking. This is called "mounting" and will start a mini-game if you are successful. When your character is on, a bar will appear on screen with a head icon. When the icon is yellow or red, hold R to hold on. When it is green, repeatedly press X to attack until the bar fills up. If you fill the bar completely before the head reaches the end, you will stun the monster for a short time. This is also good for breaking certain body parts. 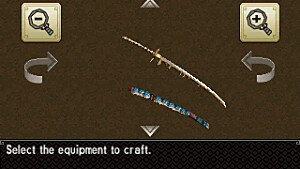 The biggest thing to keep in mind when starting is that weapons in this game are like classes or jobs in other RPGs. Each weapon has a different and unique play style, so you will want to focus on 1 at a time to understand exactly how it works. I suggest you do the weapon training missions for each until you find a weapon you like, then stick with it for a while. You can also get Palicoes/Felynes, which are cats, to help you on your hunts. They comes wit their own set of equipment and skills and level up as you complete quests. Guild - The standard style that lets you use 2 Hunter Arts. This is a good one to start with and will feel the most familiar to those that have played any of the past games. Striker - A simplified style that focuses more on Arts. Your normal attacks are usually simplified, but you can have 3 Hunter Arts and they charge faster. Aerial - Lets you use an Aerial Dodge to jump on monsters. 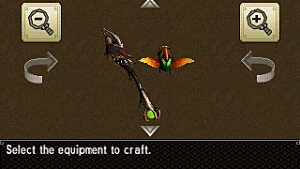 In Monster Hunter 4 Ultimate, Insect Glaive, and sort of the Lance, were the only weapons that could launch into the air to mount a monster without jumping off a ledge. Now any weapon can do it, but you only get access to 1 Hunter Art. Adept - Advanced style that involves dodging at the last second and performing counter attacks. 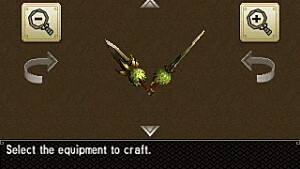 Each weapon has their own set of Arts and you unlock more as you use the weapon. Arts are abilities you can use during combat, but you have to charge them up before you can use them. Arts can have different charge times, which you can view when selecting them. There are 14 weapons in the game -- 11 melee and 3 ranged -- that all do different things. Each weapon is unique and you will need to spend a lot of time learning and mastering each, so don't expect to be good at a bunch of them right away. Great Sword - A giant sword that is good for attacking and can be used to block. Long Sword - A very long katana that allows you to complete long swings for devastating results. Sword and Shield - A basic short sword and shied that is a good balance between offense and defense. Dual Blades - Twin daggers that allows fast attacks and combos. Hammer - A huge blunt weapon that is slow, but powerful. Hunting Horn - A supportive weapon that can play songs to increase you and your nearby allies' stats. Lance - A long weapon and shield that has amazing defensive capabilities. Gunlance - Similar to the Lance, but with the addition of shots you can use. Switch Axe - A weapon that can switch between being used a giant sword or giant axe. Charge Blade - Similar to the Switch Axe but it switches between a giant sword and shield and axe instead. 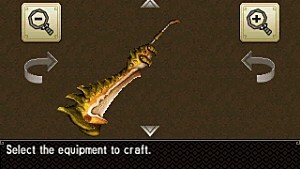 Insect Glaive - A staff that has an insect attached to it. The insect can gather energy from the enemy to power your Hunter up. Light Bowgun - A crossbow-type weapon that uses ammo and special shots. Heavy Bowgun - A bigger, slower version of the Bowgun that lets you crouch and fire as well. Bow - A ranged weapon that allows for jump shots and uses coatings instead of ammo. If you use a melee weapon, you're classified as a Blademaster, and ranged weapons classify you as a Gunner. This is important later because some armor is only usable by 1 of those types. 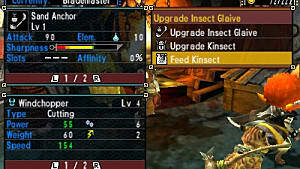 Gunner is very different from Blademaster and difficult if you have never played Monster Hunter. I suggest not starting with one of those, but just try out every weapon, then decide what you like the best. In Monster Hunter Generations you can play as a Palico/Felyne during normal missions, or specific Prowler missions. Unlike Hunters, Prowler attacks don't change when they change weapons. They can swipe with their weapon or throw a boomerang. They can also block, dodge, and burrow while your weapon is sheathed. Harvesting materials and landing attacks fills up the support gauge so that you can use support moves. Gathering - Find specific materials and deliver them to the red box at the beginning. Hunting/Slaying - Kill or capture the target monster(s). Capture - Capture the target monster. You start out with 1-star level quests in single-player and eventually unlock more levels as you complete certain key quests. When you do enough key quests, you unlock an urgent quest. Complete the urgent quest to unlock the nest level of quests. The key quests are not listed in the game, so you must find it out on your own. There will be a separate guide listing these. Multiplayer has a separate set of quests called Hunter Rank, but it also requires completing key and urgent quests. There are many ways to customize in Monster Hunter Generations. 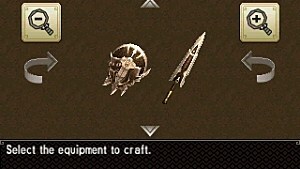 There are many weapons that each have unique abilities, which also can be upgraded. Armor can also be created and upgraded. 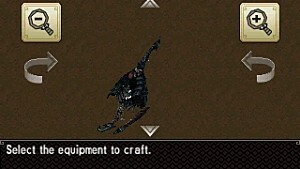 Both weapons and armor an be crafted from gathering parts from monsters. The different pieces of armor grant different stats and abilities. Your Palico companions can also get different weapons and armor. 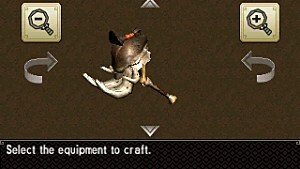 It is important to craft gear in this game, so be sure to gather whenever you can. 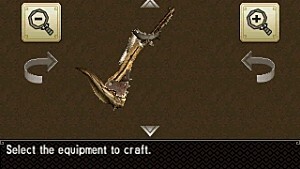 Hold A whenever you are gathering anything, including carving big monsters. This speeds up the process and you don't have to keep pressing A after the animation is over. Make sure you learn the maps and what each item does so you can bring the right support items. It is important to know the strategy for the giant monsters, especially later on when a couple mistakes could end in failure.